Microsoft announced on August 23rd 2013 that Steve Ballmer, the companies CEO since Bill Gates stepped down to dedicate his life to philanthropy, is retiring in the next 12 months once a successor has been elected. 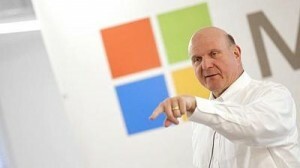 I am a strong believer in results, and what Steve Ballmer has been showing “lately” is the lack of them. I sometimes get criticized for being too honest, but its true. If you look back in the last 10 years of Microsoft the amount of successes have been very little. In the year 2002 Microsoft released Windows XP and till now, 11 years later is still being used by a lot of users and companies because they were unable to release another stable product. I believe Windows 7 is a good successor of XP, but it was release already in the year 2009 having still up to now a lot of issues that haven’t been addressed. Windows 8 was a complete failure, obligating the user to change the way he works with the new Metro UI/Moden UI interface designed for touch when people are using a mouse and a keyboard. Surface RT OS for their tablets just confirms how wrong Microsoft has been and if we check how slow their insertion on the mobile phone market has been, well…it just shows how deep they are in trouble since a while. Microsoft has been unable to find a way to really generate love within users, that love that other brands like Apple has been spreading since they launched their iPhone. Its hard to believe how a company with such a potential and money can miss so many market signs to really create great products. I´ve worked with Microsoft technology for the past 17 years, so I know how most of their things work, and how they could be improved. I´ve been a reseller of the licenses and trying to understand the licensing model its just creepy difficult that even several wholesalers were unable to explain. – Simplify the licensing model in all grounds. You got a computer you have to pay X to use this software. Thats it. That license can move to another computer while you use it in one computer at a time. Make it valid on all situations on all companies for everybody and every product. Servers, Workstations, Office, etc. – Reduce the prices of your software so everybody goes legal. Selling a license of an operating system for USD 200 is not the way to go, but going for a USD 35 pricing model it is. Microsoft will avoid millions of people installing pirated versions of their software by doing this, they already saw a glimpse of this when they offered Windows 8 at much better prices that Windows 7, that’s why its sales were high. – Release Microsoft Office versions for iOS and start making money on that platform. The Apple vs Microsoft fight is over, Its clear that the tablet market would work for Microsoft if they release a light, powerful, device that run´s a light version of plain Windows, compatible with everything the users already have. But we all know how slow Microsoft can be to release a product like this, so till then just release the software for iOS users already. Your brand will resurrect and people are going to share the love about Office, which is still used all over the world. But if the company doesn’t do that, we can see how Apple with their iWork suite that is being Web tested is going to take over! – Get rid of engineers and executives that make the whole development processes slow and clunky. We can all feel from outside that the company needs new blood. Now that Microsoft invested in Dell, we shall see “Microsoft Dell” in the future? – Listen to independent talents, nowadays with the flow of information a lot of talented people write and “dream” about products. Why not paying more attention to them and just start developing the ones that feel more assertive to the market? How is that I was able to know what was going to happen with several Microsoft releases? Have they been so blind to see the whole picture of what has really been going on? – Improve your Operating System´s stability and release a new hardware manufacturers certification plan to improve the OS stability on different devices. This way the overall impression of the company will be improved with a new and real “Microsoft Certified computer”. I believe Steve Ballmer leaving Microsoft is a good thing for the company, I believe that if Microsoft chooses a young and devoted professional with conviction, they could get into a success path again. They might analyze the acquisition of a big tech company to get the CEO or owner to lead Microsoft´s new era, like Apple did to Next Computers to get Steve Jobs back. Whatever they do, lets hope Bill Gates and the rest of the board chooses wisely who the next Microsoft CEO will be. Pretty much sums it up. Let’s see where we go from here.